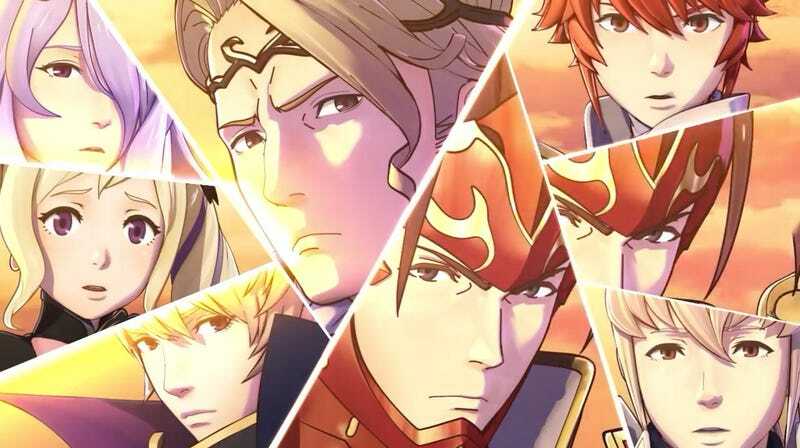 New Fire Emblem If Details Emerge! In addition to the casual mode, a new difficulty option emerges: Phoenix Mode, in which characters that die in a turn, return in the next turn. The game allows up to nine save files, three files per campaign, Hoshido, Nohr and the alternate third DLC. The Pair-Up feature is back, but a new feature called “Shield Gauge” is making its debut, details regarding this new mechanic are still scarce. The weapon triangle has been modified: Swords and Magic are strong against Axes and Bows; Axes and Bows are string against Lances and Concealed Weapons and Lances and Concealed Weapon are strong against Swords and Magic. Three new classes have been added: Butler and the female counterpart Maid make an appearance as support classes, and the new Shinobi class who wields concealed weapons. Info regarding the release, or the distribution plans for the US and EU regions are still unknown.